Here is a wonderful article about the benefits of broccoli. We all know broccoli is good for us but do you know why? 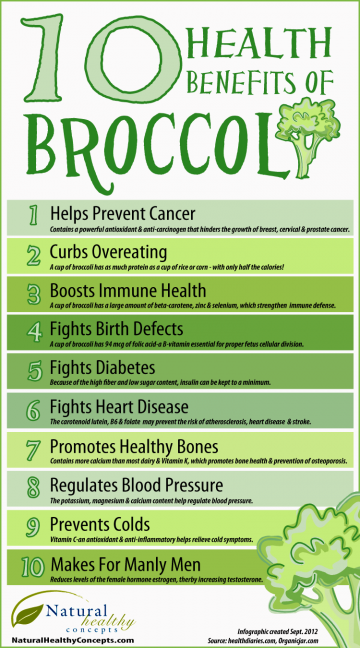 The Health Benefits of Broccoli. This entry was posted in articles, veggies and tagged broccoli on January 2, 2015 by Lynn.